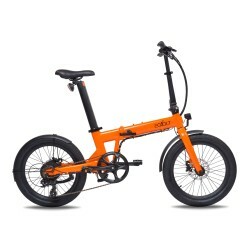 The Bizobike A-CLASS is a folding bike with a unique central engine is powerful and qualitative. The Bizobike A-CLASS is a perfect posture while surfing, which makes your driving is extremely enjoyable. The engine is driven by means of a force sensor that provides a workout without the noise of the engine. The seatpost in bicycle-built-in, and the bubble built into the brake lever are very nice options. The Bizobike A-CLASS offers a perfect stability combined with a comfortable ride. The A-Class of 2017 and its central engine combines performance and elegance. In addition, its new battery allows you to maximize your outputs up to 140 Km. The electric bike Bizobike A-CLASS is, without doubt, the bicycle prestige of the folding electric bicycle. He has already conquered France, Belgium and Germany with these characteristics top of the range. 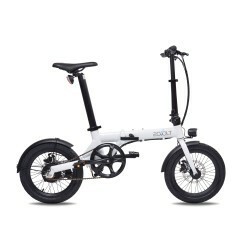 This folding bike single has a motor 8Fun 250W central surprisingly powerful and quiet and capable of providing an autonomy of 140 Km !! Ultra lightweightthanks to its frame and its wheels with 6061 aluminum (the same material used in aeronautics), the A-CLASS and its weight of 21.4 Kg (including the Battery) provides a perfect driving, which makes your journey extremely pleasant. For a perfect maintains and great comfort while driving the A-Class is equipped with its foam saddle ROYAL, a luggage rack andan air pump that is directly integrated in the seatpost in case of under pressure in your tires. Delivered with its transport bag with wheels. The A-Class exists in black/red and grey/green.